Pokemon figure Takara Tomy Monster Collection MC series Chimchar ヒコザル. 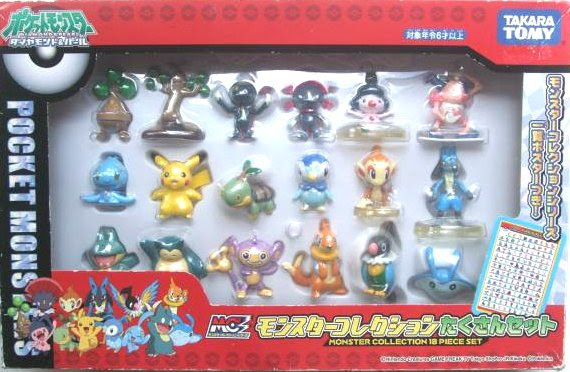 Same pose in Monster Collection DP 18pcs figures set. 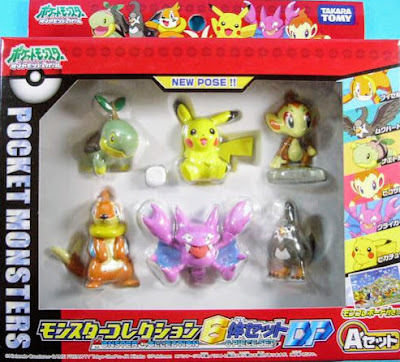 Same pose in DP 6pcs figures A set. 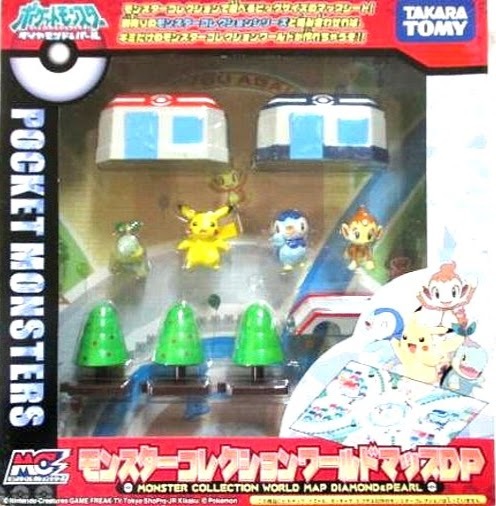 Pokemon figure Takara Tomy Monster Collection Plus series. 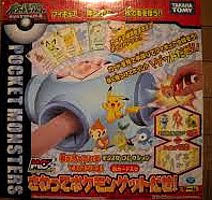 Alternative pose in Pokemon toys Takara Tomy "World map DP ワールドマップDP" and "Touch & Get さわってゲットだぜ". Shiny version by Pokemon figure Takara Tomy Monster Collection 2008 spring promotion. 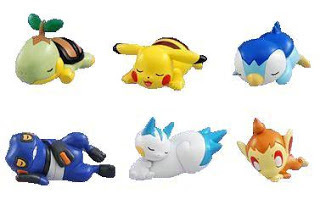 The following figures not monster collection series but same 2"size sleeping pose from Takara Tomy. 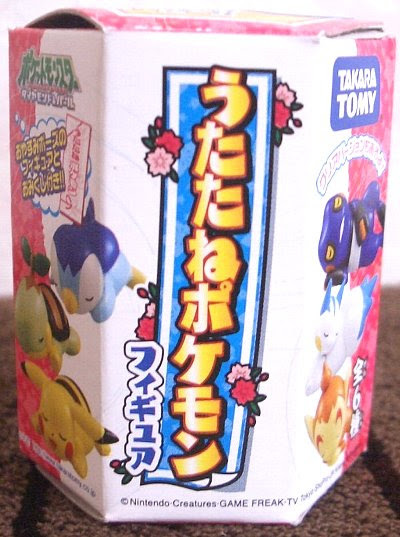 Clear version random aｓsort. Same pose as MC in M series. 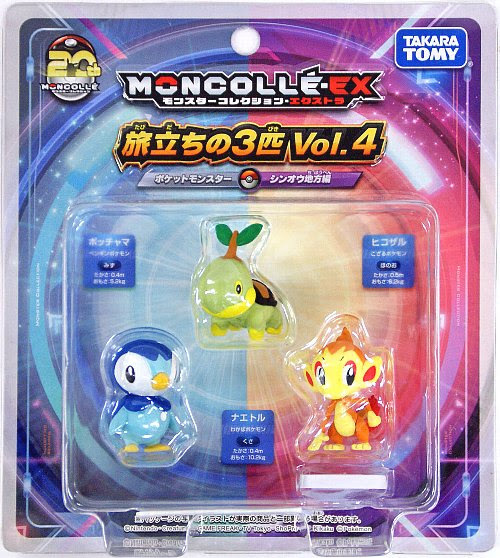 Matte paint in MONCOLLE EX Release 20th Anniversary Starter Set Vol. 4. 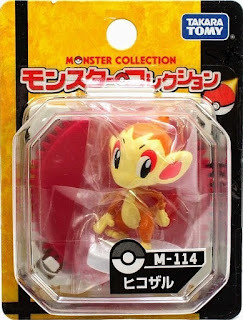 Chimchar in YJ Auction ? Sleeping Chimchar in eBay ? 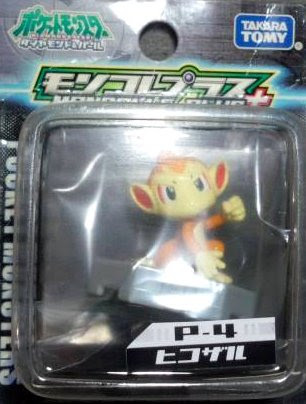 Sleeping Chimchar in YJ Auction ? 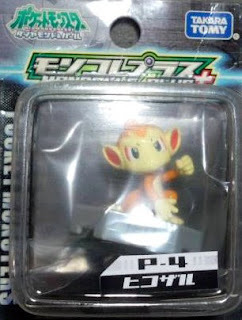 Sleeping Chimchar in Suruga-Ya ?